Are you ready to get seriously shredded! Celebrity trainer and national bikini competitor Autumn Calabrese has combined simple eating with extreme fitness to help people shred up and shed off those final pounds with 21 Day Fix EXTREME. 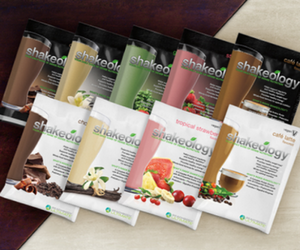 In combination with Shakeology, the 21 Day Fix Extreme Challenge pack includes everything you need to get on track and succeed with your weight loss and/or fitness goals. Why 21 Day Fix EXTREME? This 21-day program makes eating simple with a portion control program that’s easy to follow. You’ll be focused on clean eating combined with daily 30-minute workouts. The portion-control containers take all the guesswork out of how much you should eat. I love that part! What could be easier? With the 21 Day Fix Extreme Eating Plan, you’ll know exactly what to eat and when—and how to eat cleaner than ever. This is the formula to how you can get seriously shredded in 21 days! 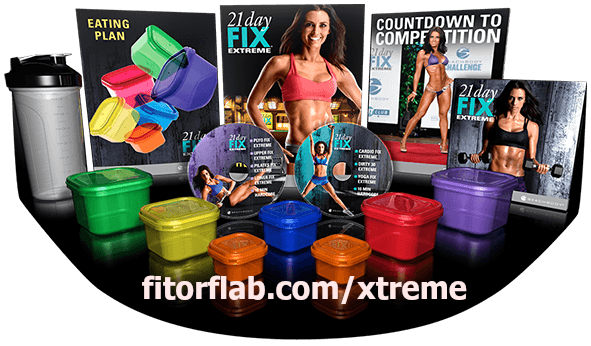 Who Should Use 21 Day Fix Extreme Fitness program? People with a dramatic shortterm weight-loss deadline, including those who have a big event coming up, like a vacation, photo shoot, etc. 21 Day Fix graduates who are ready for the next step. And graduates of other extreme programs like P90X, INSANITY, and FOCUS T25. People without much weight to lose, but who want to shred up and see their abs. AND who have a “No BS” attitude toward workouts and nutrition. People who don’t want to count calories, weigh their food, or follow complicated recipes. Why is 21 Day Fix EXTREME incredibly effective and unique? You get seven EXTREME 30-minute workouts, one for each day of the week— so your mind never gets bored, and your body never adapts. 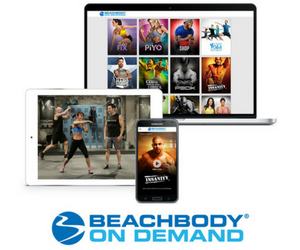 The workouts feature a unique blend of steady-state aerobics, resistance training, and explosive power moves that target every muscle in the body—to help you get shredded fast. For your nutrition, you’ll not only be practicing portion control—you’ll be eating ONLY clean foods. No treats. No cheats. No excuses. Plus, you’ll get Autumn’s all-new 21 Day Fix EXTREME recipes to help you achieve your very best results. No other program has you eating this well and working this hard. But if you want a lean six-pack, cut arms, ripped shoulders, and toned legs . . . you have to take it up a notch. It’s going to take guts, intensity, and drive. But, it’s only 21 days. You can do this. It’s just 21 days of your life. CLICK HERE now to order your 21 Day Fix Extreme workout or choose from another package below.